How can I convince you what you see is real? Who am I to blame you for doubting what you feel? I was always reachin’, you were just a guy I knew. I took for granted, the friend I have in you. I was living for a dream, loving for a moment. Taking on the world, that was just my style. I can see forever, the search is over. You were with me all the while. Can we last forever, will we fall apart? At times it’s so confusing, these questions of the heart. Till I came to my senses through some miracle of fate. Now the miles stretch out behind me loves that I have lost. Every highway leading me back to you. Now at last I hold you, now all is said and done. The search has come full circle. Our destinies are one. So if you ever loved me, Show me that you give a damn! You’ll know for certain the man I really am. Then I touched your hand, I could hear you whisper. The search is over, love was right before my eyes. This is the Logo and Invitation for the wonderful idea of Serene faith and Ji Nirvana to help the people in Japan in her special way. I already wanna thank you for that offer u give us all to be a part of it. So from me to all this people I will call now a big thank you and I´m very proud and honored to work with u and to have u on board. Thank you all very much for that offer. List is closed! I´m sorry for all who wanna join and help in this project but for JRF I have a deadline and I will now just do the Blindfoldpics for private using and an special offer in price. For more information please send me an IM. Ty! PS: Starline Phtography’s “BLINDFOLDED” Pictures are available at the JRF Fundraiser. I am so honored to be part of it. A million THANK YOUs to Falbala Fairey. 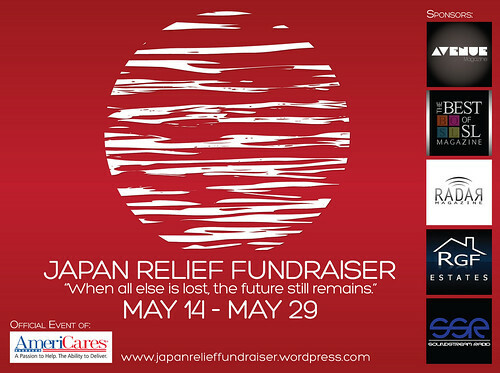 Please give your support to this wonderful charity to help Japan.